The Busenitz Pro skate shoes has been developed and created in collaboration with professional skateboarder Dennis Busentiz and Adidas Action sports department. Together they transformed the legendary Copa Mundial football shoes that was first released back in 1979, into a super durable skate shoe. So if Maradona and Zidane had a love child with a skateboard; the Busentiz Pro would probably be the result. Dennis is an aggressive and fast skater, so Adidas wanted his Pro model to be extra strong and durable in the spots that blow out fastest. 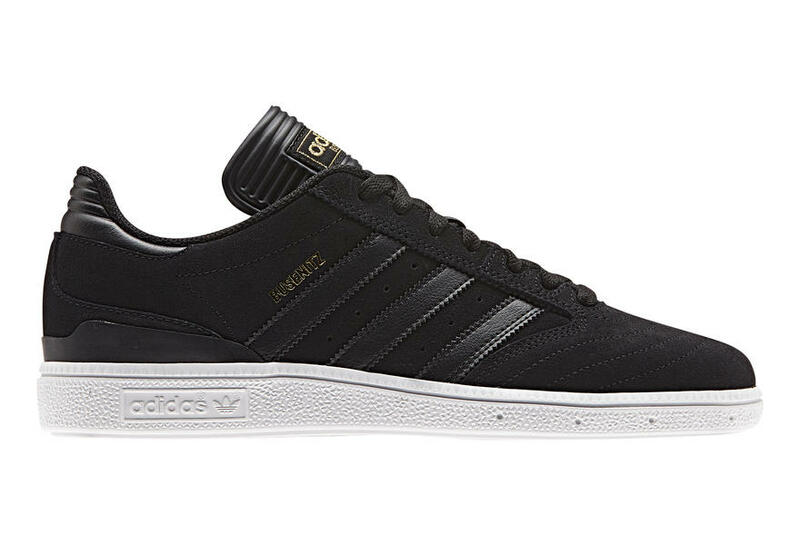 These Adidas Skate shoes are built to last with a durable upper, cupsole construction, Geofit collar and finished with a CORDURA® quarter panel. Durable textile and synthetic upper - resists blowouts and gives you precise control for flicking your board. Customisable tongue - If you don't want a longer tongue, simply trim it down.